We usually order these as an appetizer at the restaurant. 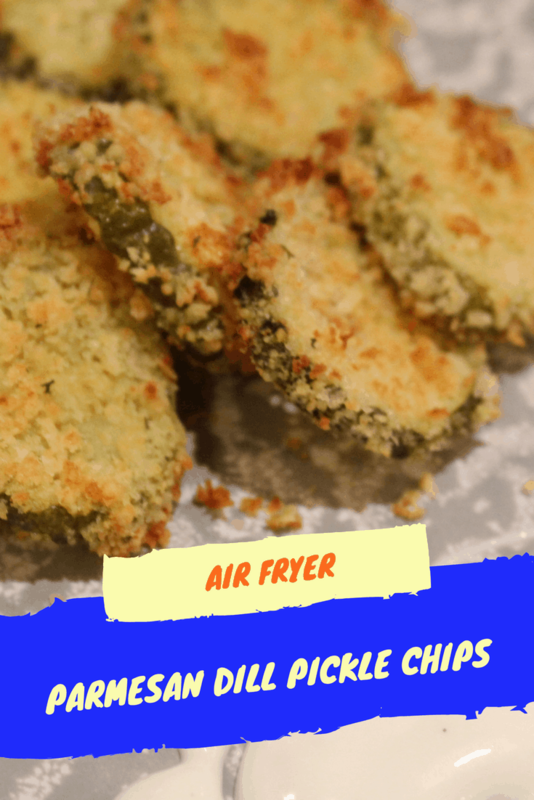 But, now that I’m armed with my new Air Fryer, I thought I would try my hand at them. Cinnamon Rolls and French Fries, actually neither of my family could stop eating, so I’m constantly making them. 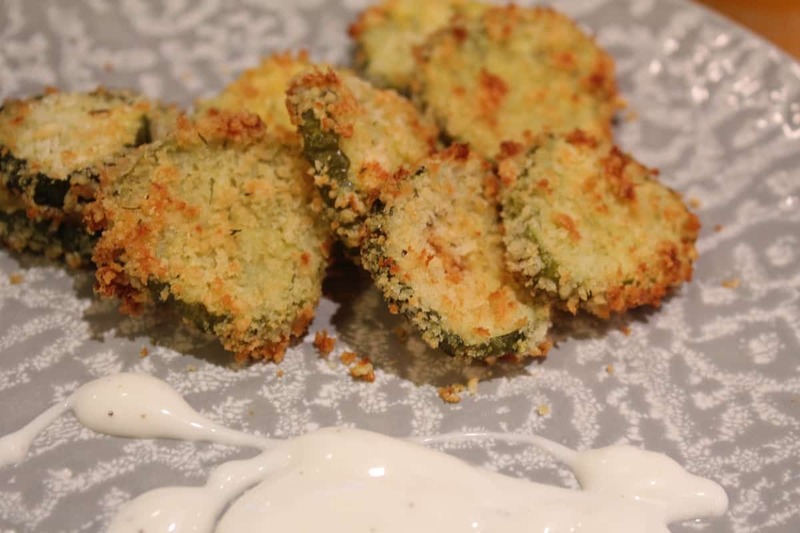 Start by laying out the dill pickles on a paper towel. This will help dry them out and get them ready to be coated. Then bread the eggs into a small bowl. And then use a fork to whisk the eggs. 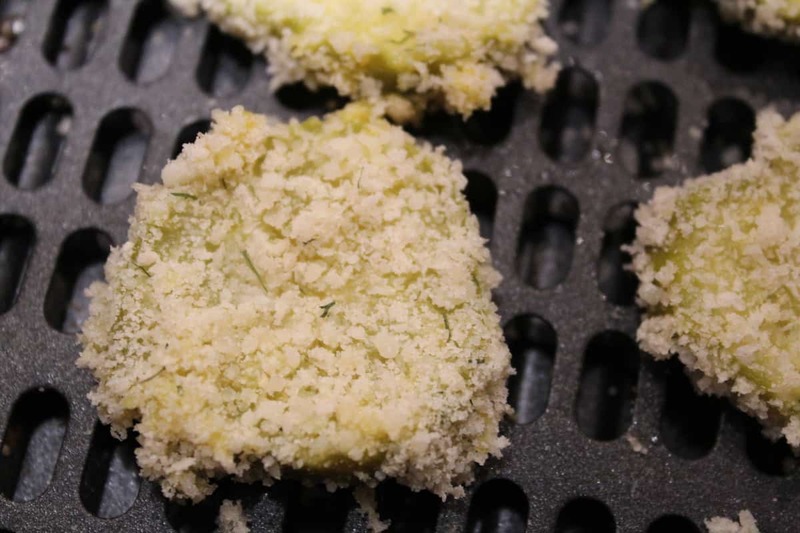 In another bowl, mix the dill, Parmesan cheese, and panko breadcrumbs. Combine well. 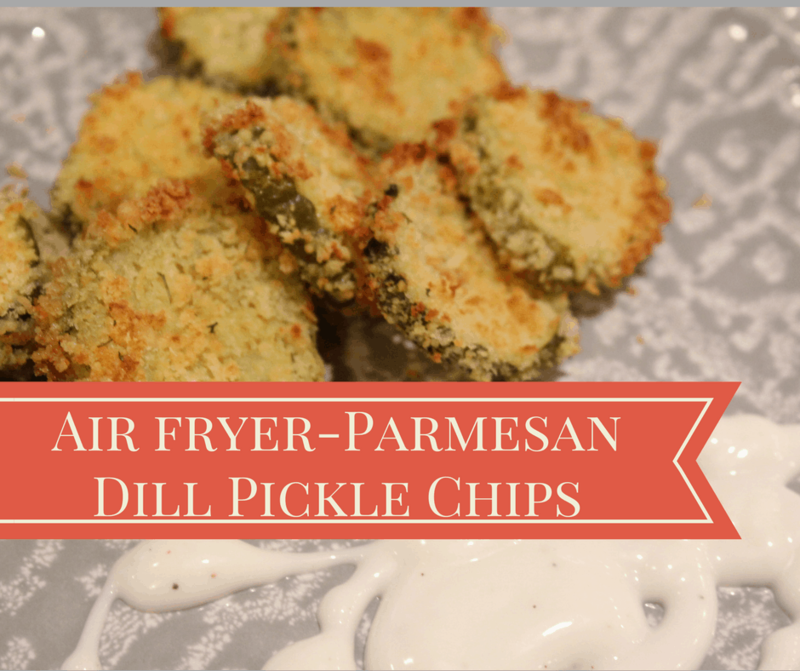 After you egg dip them and the breadcrumb them, place them in your air fryer basket. 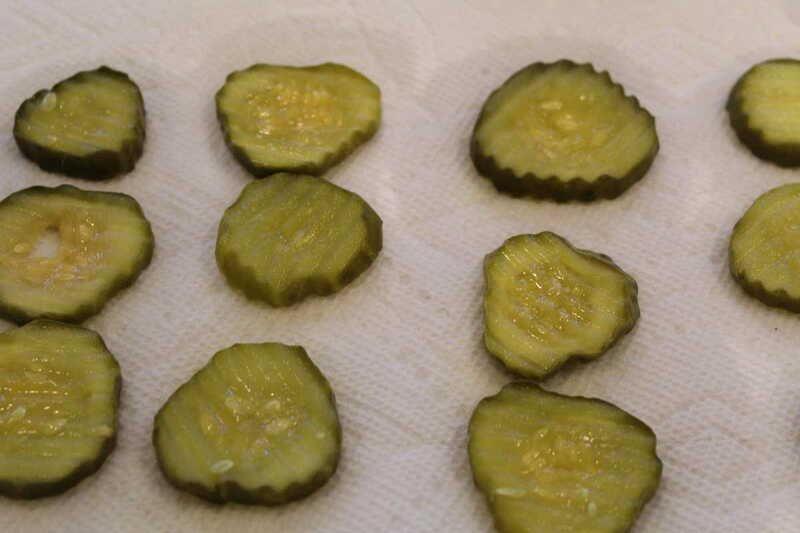 Start by draining your pickles, they work better if you drain and pat them down with a paper towel. 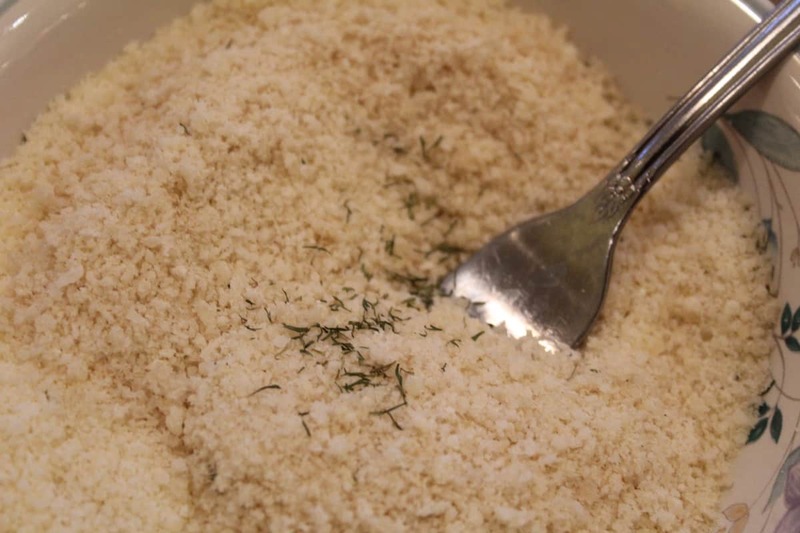 Then in a small mixing bowl, mix together the breadcrumbs, cheese and dill week. 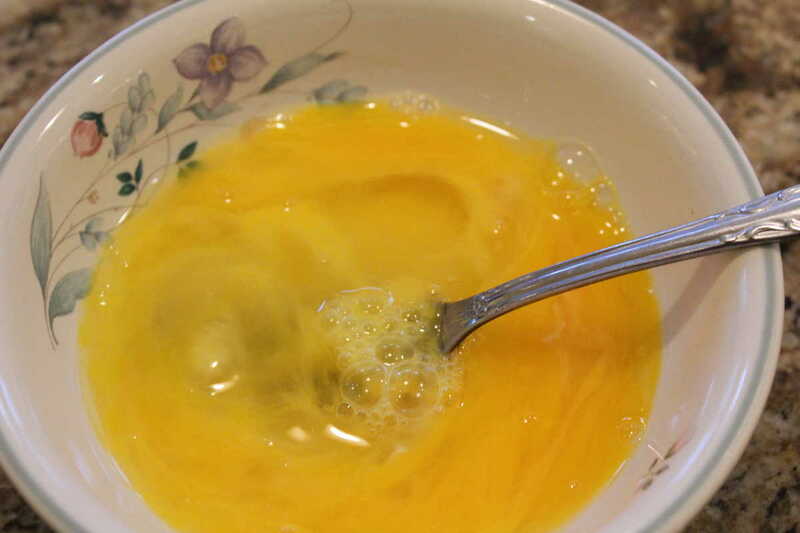 In another bowl, crack the eggs and mix, until they are frothy with a fork. 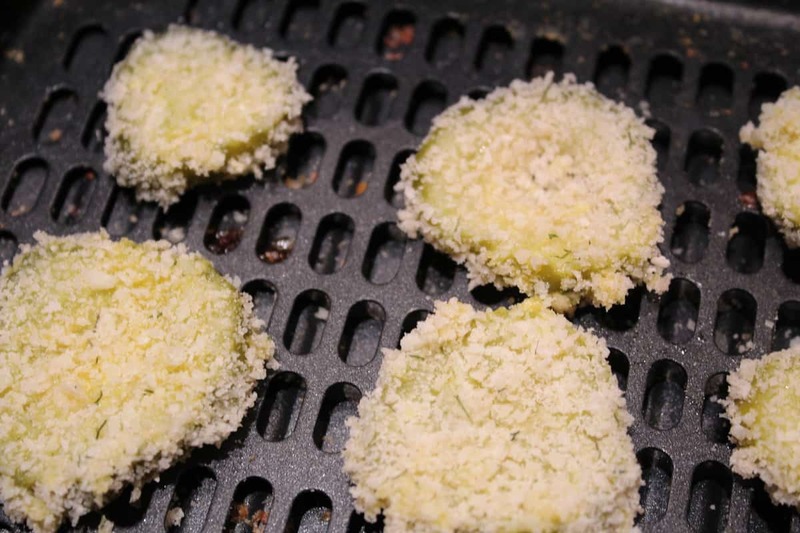 Then dip the pickle into the egg mixture (Shake it after you dip it so you don't end up with extra egg) and then into the breadcrumb mixture. After you bread them, place them in your air fryer, and set the temperature for 390, and air fry for 4 minutes, then flip over and do another 4 minutes. Make sure you spray them with oil or non-stick cooking spray (PAM) on each side, so they get a nice golden color. « Kohl’s Lowest Sale Since Christmas, Instant Pot Sale (3 Quart, 6 Quart or 8 Quart) ALL ON SALE NOW!